You probably know what to expect from Turf Wars, the second chapter in Marvel's Spider-Man's City That Never Sleeps expansion. 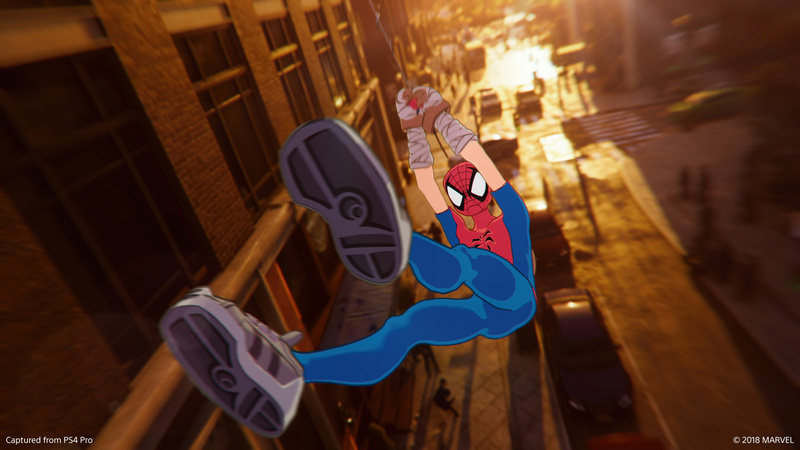 As with The Heist, this DLC pack for Insomniac's immensely popular superhero action game sticks with the established formula, providing a good excuse to get back into the swing of things. Yes, it's more of the same once again, but when the core experience is as entertaining as this, it's hard to complain. Of course, the main draw is the story and characters, and this chapter continues the thread from the first. Turf Wars picks up not long after the events of The Heist, shifting focus from the mischievous Black Cat to the evil gang boss Hammerhead. 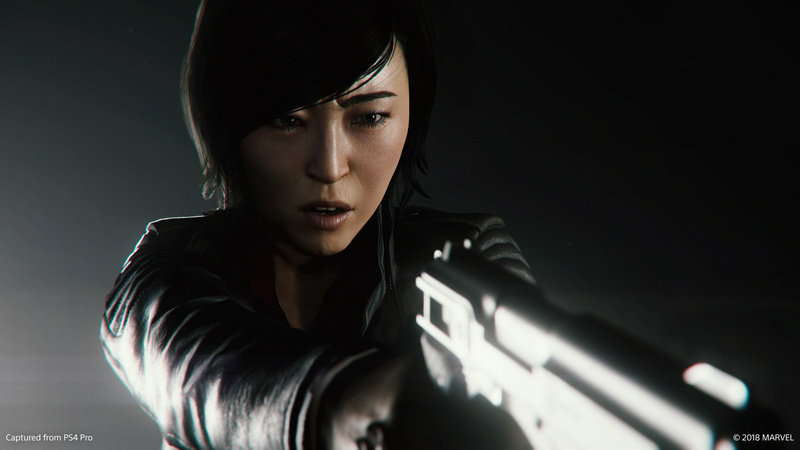 After his exploits in the first DLC, Hammerhead takes centre stage as the key villain here. Various gangs are engaged in a power struggle, causing a lot of trouble for Spider-Man and the police. However, things really start to get out of hand when Hammerhead gets his hands on Sable equipment and weaponry. Perhaps the most interesting aspect of the story, though, is police chief Yuri Watanabe's involvement. We won't say much more than that, but Yuri's character is explored and developed nicely, leading to a conclusion that might surprise. We're definitely curious to see how the City That Never Sleeps story wraps up, as it of course leaves things on a nice cliffhanger. Outside of the story itself, it's business as usual for the red and blue hero. The main missions don't stray from the norm in terms of structure, but do take you to some interesting locations throughout Manhattan you won't have seen yet. There are one or two new enemy types to tackle, but nothing you don't already know how to deal with. Much of the difficulty in the DLC's combat scenarios stems from sheer numbers, so crowd control will become your best friend. New hideouts will unlock early on called Hammerhead Fronts. These play out in a familiar way but it's well worth playing them all. Yuri's character is explored yet further as you complete them, giving them more of a purpose than being simple challenge rooms. Speaking of challenges, Screwball makes a return, tasking Spidey with various combat and stealth objectives to satisfy her viewership. These don't have as strong a reason to keep playing as the Hammerhead Fronts do, but you'll need to complete them if you want to unlock the last (and probably best) of the three new suits you can find in Turf Wars. While some may be disappointed with the lack of new features or gameplay additions in this string of DLC, the effortlessly fun swinging and fighting, along with an interesting narrative, makes it worthwhile for those who are happy to play more of Marvel's Spider-Man. 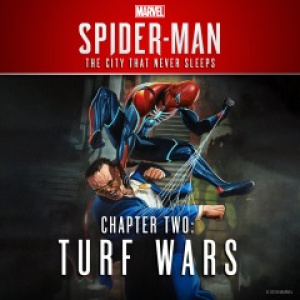 Turf Wars continues the City That Never Sleeps story well, further developing characters we're familiar with as well as introducing us to a nasty new bad guy in Hammerhead. It's not the longest or most original DLC out there, but those looking for an excuse to keep playing will definitely be satisfied. I had this downloaded since it released, may give it a swing tonight! Expected, sounds good! This review seems more fair than the one for the previous chapter - I like how it states 'more of the same' as good (since the game is really good) instead of a being a bad thing. Personally, I think DLCs should be exactly that, more of the same. I mean, if it's different, then it should be a sequel. I gotta give mad props to Insomniac for making one of Spider-Man's goofiest super villain this damn scary. That takes some skill. I played it yesterday and found it much tougher than the main game. It’s not Dark Souls or anything, but prepare to be tested - especially if you’re a bit out of practice. Yep I finally got all the trophies last night, but the challenges and the bases were definitely the hardest in the game so far. Particularly if you like completing all the optional challenges. I'm probably just dumb but in the new stealth challenges it took me a minute to figure out what she meant by "the motion sensors" it's the spotlights that move and you have to web the lamps to temporarily shut them down. But yeah the new bases and stealth challenges were much harder. The big dudes with the chain guns are a nightmare if you run out of gadgets. Combat and skill challenges I finished first or second time. They have just made the timer shorter I think. But yeah I finished the last dlc in one night no issues. This dlc took me 2 nights of ragequit and then I got pretty much the remaining 70% done last night lol. I think the crimes are easier on this one though and you can complete them faster which IMO was a good thing lol. @JoeBlogs Turf Wars is definitely more difficult than the base game and The Heist. Those Hammerhead hideouts are difficult to clear. @starman292 Oh god, those big dudes! The only thing that works reliably is the anti-gravity gadget (needs to be fully upgraded). I found the new guys with shields and jetpacks annoying too. One thing I worked out: Dodge when they charge you and if they finish near a wall impact web them in the back to finish them off quickly.